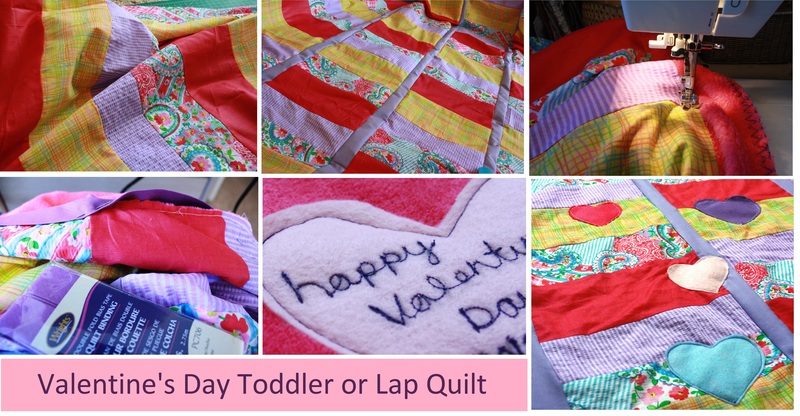 Better late than never, but I finally finished by Godchild’s Christmas 1st Birthday Valentine’s Day quilt. I’ve been limiting my internet time during the day and wow, does that make me 100x more productive. I used some shortcuts that made making this quilt pretty easy, and while it’s not perfect, I’m happy with the overall results. 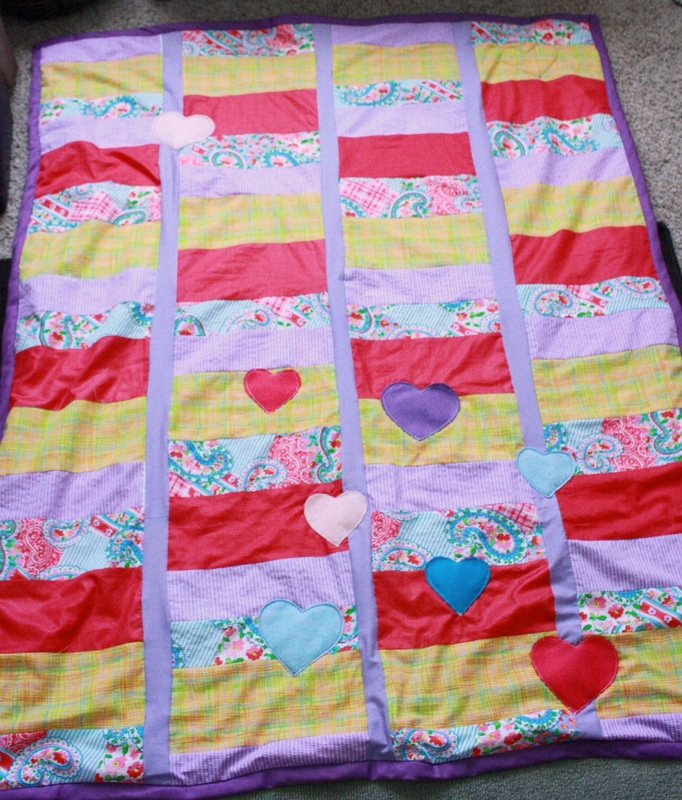 This quilt does not have batting, instead, I used a fuzzy blanket I bought for $4 at the craft store – those fleece throws you can buy cheap at drug stores or Wal-Mart work well too. I didn’t have anyone at home to help me hold it up and take a picture, so excuse the weird angle. It looks great! 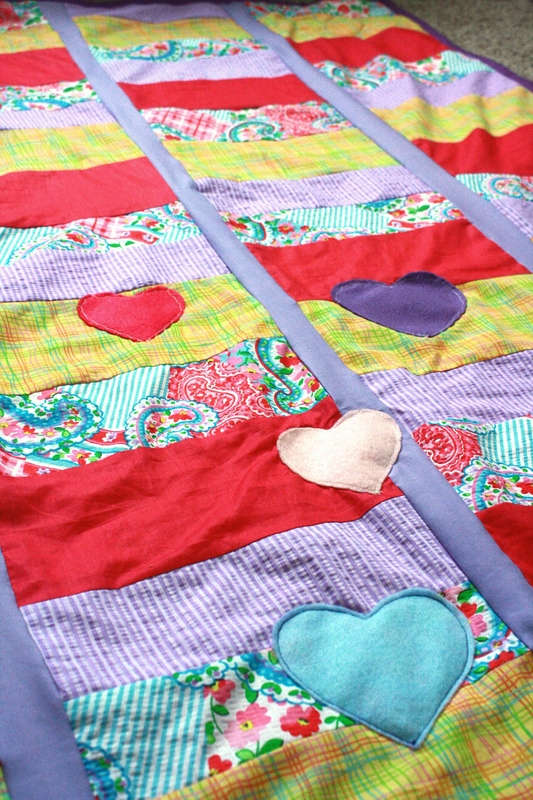 I love the colors and the hearts! !